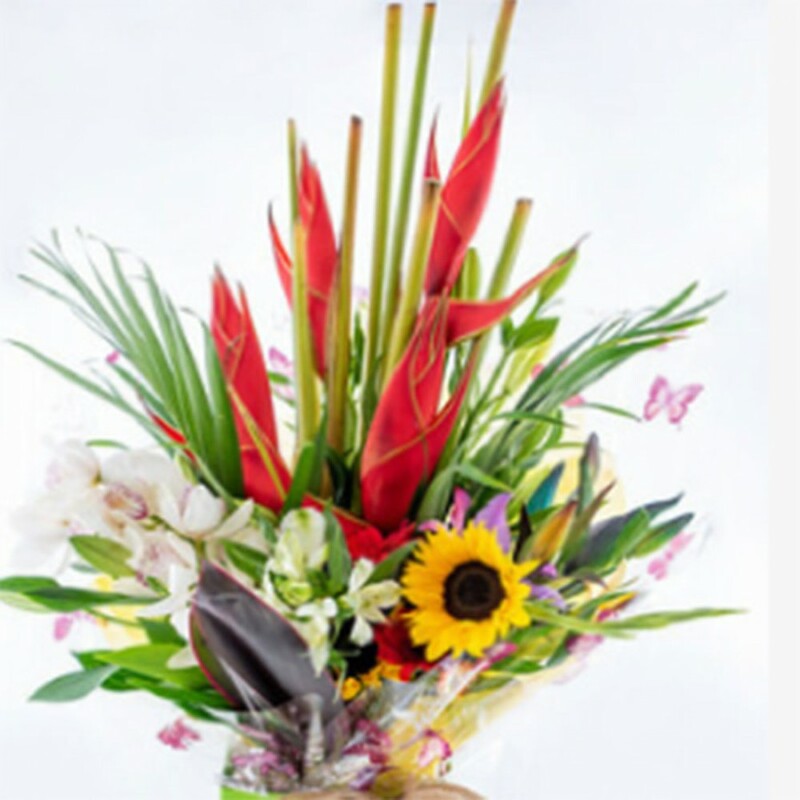 A vivacious display of tropical birds of paradise, orchids, sunflowers and gladioli. Bold, bright and beautiful – this modern bouquet is perfect for those that love something a little bit out of the ordinary. Hand-tied in a bubble of water and presented in a gift bag.